What is ATYPICAL MYOPATHY (SYCAMORE POISONING) in horses? AM is a severe and often fatal muscle disorder caused by the ingestion of sycamore seeds, leaves or seedlings. It is fatal for around three quarters of the affected horses. It was first reported in the 1940s, but it seems like there has been a significant increase in recent years. AM in horses is caused by the ingestion of sycamore seeds that are often found in pastures in autumn and winter and their germinating seedlings in spring. Recently, looking into similar diseases in human medicine lead to the discovery of the hypoglycin A and its toxic metabolite as the cause of the degeneration of the muscle cells; this toxin is present to a various degree in trees from the maple family, and their toxicity can be affected by a number of environmental factors such as climatic and soil conditions. There is currently research ongoing to establish exactly which factors are involved in deterring the toxicity from the ingestion of sycamore, such as quantity, genetic factors, diet and previous exposure. For reasons yet to be understood, even fields that had horses grazing for many years with no signs of AM are not to be considered safe in presence of sycamore trees. Are all horses susceptible to AM? AM has been reported in horses of all ages and breeds; however, some horses seem to be more susceptible than others, perhaps due to genetic differences. There is also some evidence suggesting that younger horses are more severely affected. What are the clinical signs of AM? The onset of AM is usually rapid, and the major clinical signs are the result of the severe damage to postural and respiratory muscles. Early signs are general weakness, reluctance to walk, stand and breath; often colic signs are present, despite the horse showing appetite. As it progresses, the rapid breakdown of the muscle cells can cause acute kidney failure and heart problems. Clinical signs, history, environmental factors and laboratory findings are often sufficient for a presumptive diagnosis of AM; recently, specific tests for the hypoglycin A toxins have been made available to confirm AM diagnosis in horses. What is the treatment for AM? Horses affected by AM require immediate intensive care aimed at reducing the risk of kidney failure; this is preferably carried out in a specialist equine hospital for intensive 24h care. At present there is no specific treatment for AM and affected horses are treated symptomatically. Survival rate is around 30-40% and is highly dependent on fast diagnosis and treatment. If horses survive following the first few days of treatment, they usually go on to a full recovery, although this can take several months. Unlike muscle disease azoturia (“tying up” or exertional rhabdomyolysis) AM occurs independent of exercise; it affects horses kept at pasture, and it has been reported mainly in the autumn with some cases in spring, winter and summer. Wind strength is thought to be a crucial factor for dispersal of the seeds. Recently the Royal Veterinary College developed a reliable test to identify and quantify the presence of hypoglycin A toxins from leaves, seeds and seedlings of sycamore trees; owners are encouraged to test the safety of their paddocks by submitting the samples directly to the RVC. Owners whose fields are close to Sycamore trees should consider providing supplementary forage and picking up/hoovering sycamore seeds off the pasture; precautions also include reducing the turn out during seasons at risk. If you are concerned about your horse and wish to discuss this further with us, do not hesitate to contact us at the practice. For more information about atypical myopathy toxin tests and tree sample testing, visit the RVC website. Serena has a keen interest in general equine medicine and often deals with medical problems in horses and ponies. Stretton Hills Veterinary Practice Ltd (“We”) are committed to protecting and respecting your privacy. This policy and any other documents referred to on it governs the privacy of the users of our website (www.theequinevet.co.uk) and sets out the basis on which any personal data we collect from you, or that you provide to us, will be processed by us. Please read the following carefully to understand our views and practices regarding your personal data and how we will treat it. By visiting www.theequinevet.co.uk you are accepting and consenting to the practices described in this policy. 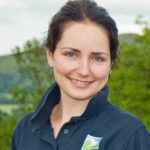 For the purpose of the Data Protection Act 1998 (the Act), the data controller is Stretton Hills Veterinary Practice Ltd, Redcote, Lower Wood, All Stretton, Shropshire, SY6 6LF. – Information you give us. You may give us information about you by filling in forms on our site theequinevet.co.uk (our site) or by corresponding with us by phone, e-mail or otherwise. This includes information you provide when you register to use our site, subscribe to our service, search for a product, place an order on our site, participate in discussion boards or other social media functions on our site, enter a competition, promotion or survey, and when you report a problem with our site. The information you give us may include your name, address, e-mail address and phone number, financial and credit card information, personal description and photograph. – Information we receive from other sources. We may receive information about you if you use any of the other websites we operate or the other services we provide. We are also working closely with third parties (including, for example, business partners, sub-contractors in technical, payment and delivery services, advertising networks, analytics providers, search information providers, credit reference agencies) and may receive information about you from them. A cookie is a small file of letters and numbers that we store on your browser or the hard drive of your computer if you agree. Cookies contain information that is transferred to your computer’s hard drive. This tracks, saves and stores information about your interaction and usage of our site and allows us to provide you a tailored experience within our website. – Strictly necessary cookies. These are cookies that are required for the operation of our site. They include, for example, cookies that enable you to log into secure areas of our website, use a shopping cart or make use of e-billing services. – Analytical/performance cookies. They allow us to recognise and count the number of visitors and to see how visitors move around our site when they are using it. This helps us to improve the way our site works, for example, by ensuring that users are finding what they are looking for easily. – Functionality cookies. These are used to recognise you when you return to our site. This enables us to personalise our content for you, greet you by name and remember your preferences (for example, your choice of language or region). – Targeting cookies. These cookies record your visit to our site, the pages you have visited and the links you have followed. We will use this information to make our site and the advertising displayed on it more relevant to your interests. We may also share this information with third parties for this purpose. Although we endeavour to only include safe and relevant external links within our site, we cannot guarantee or verify the content of any external websites. You are therefore advised to proceed with caution before clicking any external web links contained or mentioned within our site. You shall click on any external links at your own risk. We accept no liability in relation to any external links. – to assist you in answering any questions or queries you may have submitted to us. – to subscribe you to any email newsletter or marketing material operated by us (including but not limited to where you have previously purchased or enquired about purchasing a product or service, that the email newsletter relates to, from the company) This will only occur where your express permission/consent to receiving such newsletter and/or marketing material has been granted. For example, where you have submitted a form via the email process requesting such newsletter or marketing material. Your details are not passed on to any third parties. – Information we receive from other sources. We may combine this information with information you give to us and information we collect about you. We may us this information and the combined information for the purposes set out above (depending on the types of information we receive). – If Stretton Hills Veterinary Practice Ltd or substantially all of its assets are acquired by a third party, in which case personal data held by it about its customers will be one of the transferred assets. Users contacting our site do so at their own discretion and provide any such personal details requested at their own risk. Your personal information is kept private and stored securely until a time it is no longer required or has no use, as detailed in the Data Protection Act 1998. Every effort has been made to ensure a safe and secure email submission process. However, you use such process at your own risk. You have the right to ask us not to process your personal data for marketing purposes. We will usually inform you (before collecting your data) if we intend to use your data for such purposes or if we intend to disclose your information to any third party for such purposes. You can exercise your right to prevent such processing by checking certain boxes on the forms we use to collect your data. You can also exercise the right at any time by contacting us at info@theequinevet.co.uk.